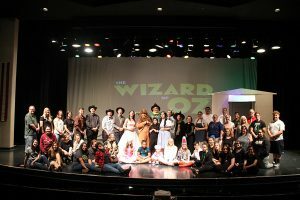 BULLHEAD CITY – The yellow brick road passes through Bullhead City this week when the family-friendly classic “The Wizard of Oz” is performed at Mohave High School. The spring musical is scheduled for Wednesday through Saturday (April 10 through 13) at 7:00 p.m.
Tickets are available at the door for $7 for students and $10 for adults. All performances are in the Mohave High auditorium, 2251 Highway 95. Proceeds benefit the Mohave High theatre program. This is the first Mohave High musical under the direction of drama teacher and Mohave alumnus Casey Amann. Amann was previously a teacher and drama instructor for many years at River Valley High School in Mohave Valley. Mohave Thunderband teacher Michelle Ribelin is the pit orchestra director, and vocal assistance has been provided by Mohave Community College chief of innovation and transformation (and former Mohave High music teacher) Shawn Bristle. River Valley teachers Candice Rowe and Kathy Brower are assisting Amann with the production. In addition to Mohave and River Valley, the cast also includes students from Bullhead Middle, Diamondback Elementary, and Fox Creek Junior High Schools. 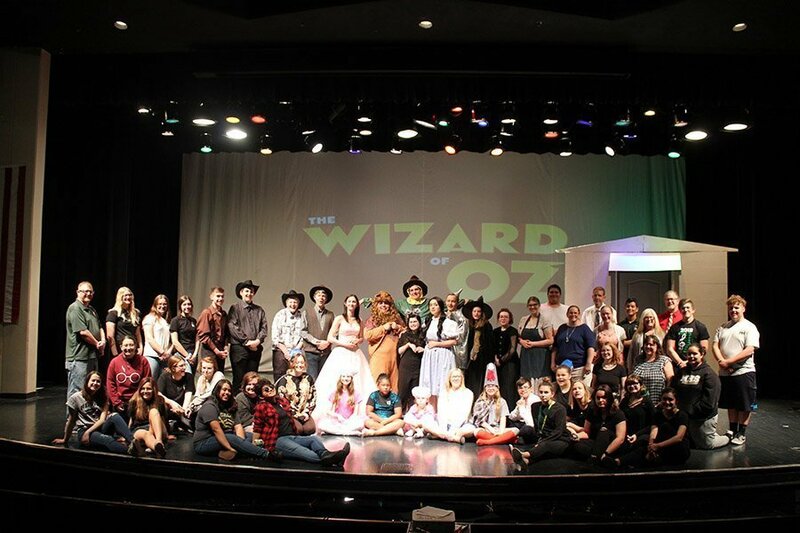 Picture shows the actors, the tech crew and the pit orchestra.